3. 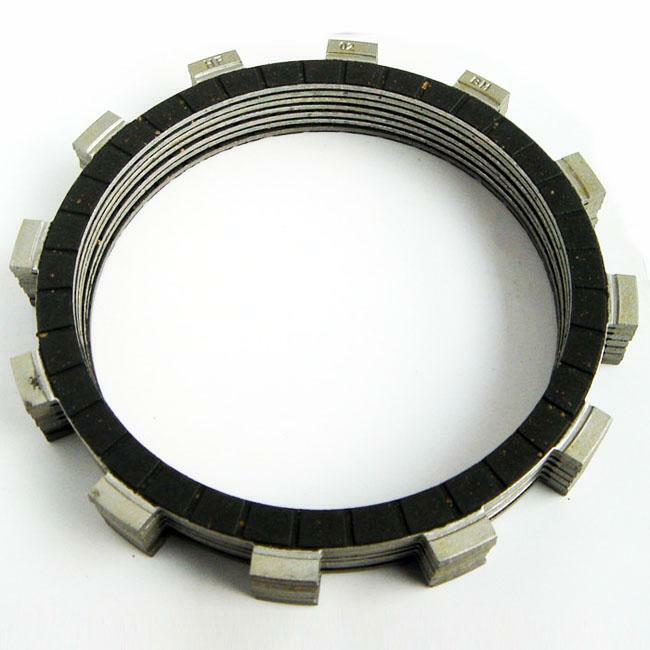 Includes the full set of friction, separator plates and springs. 4. 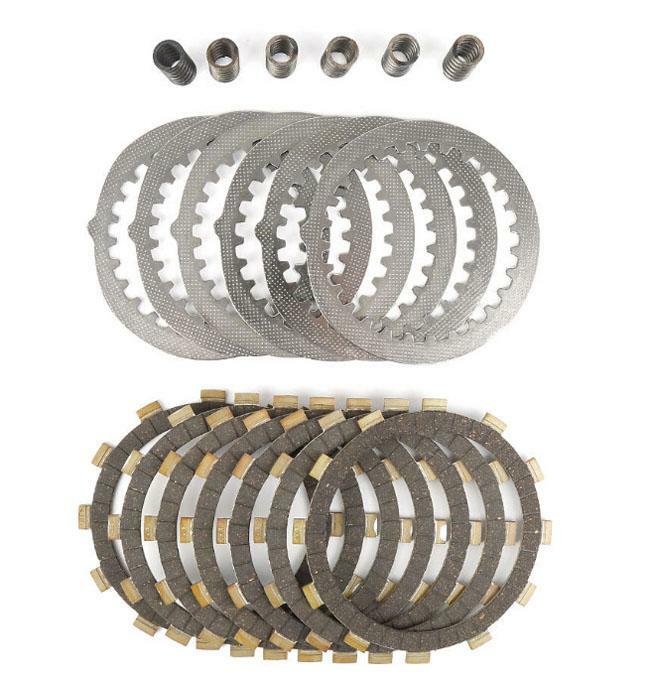 All kits include Tusk steel plates which outlast stock alloy units and prevent heat distortion. 5. Increased flywheel effect of steel plates improves power spread. 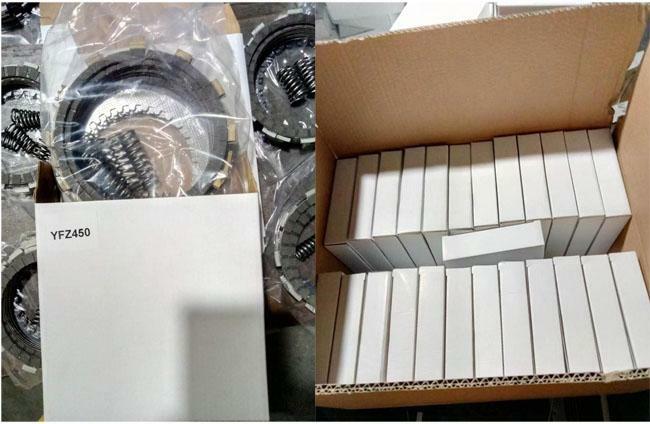 Each set of clutch disc sets with one polybag (Can be color print),and each set of clutch kits with one colorful box. 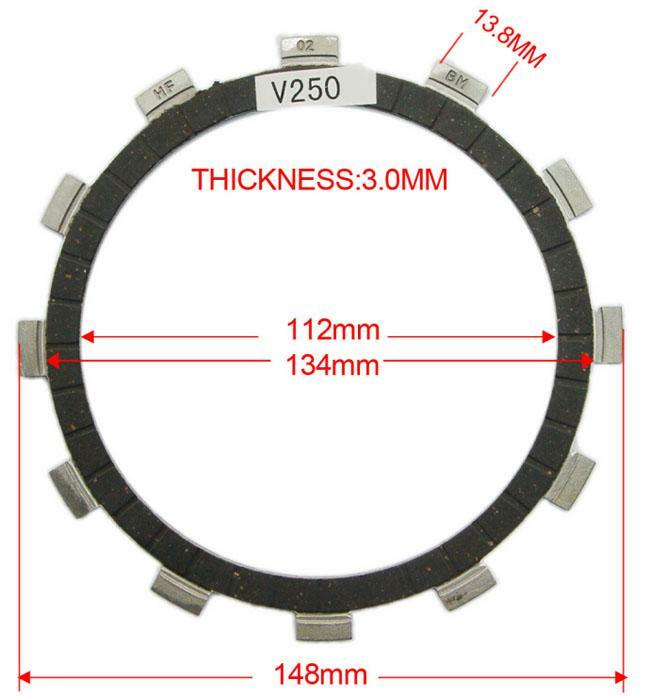 1.We are Professional Friction material manufactuer,we can produce friction plate according to your request.Also we supply all kinds of existing Motorcycle Friction Plate/Disc with different material such asRubber& Cork Sheet/Paper base/Copper base/103 (similar to FCC)/Copper base. 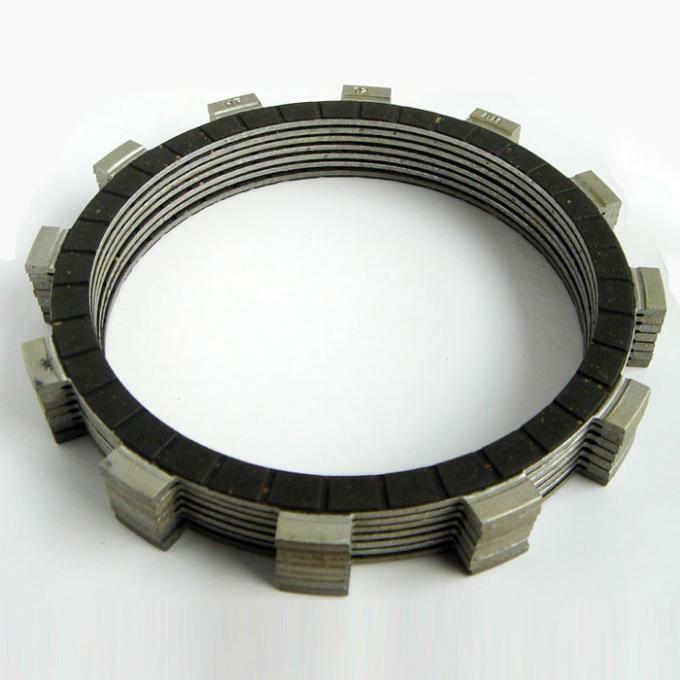 3.We are leading Friction Plate manufacturer in china. Our Exclusivity matierial "103" was similar performance with FCC but half prices. 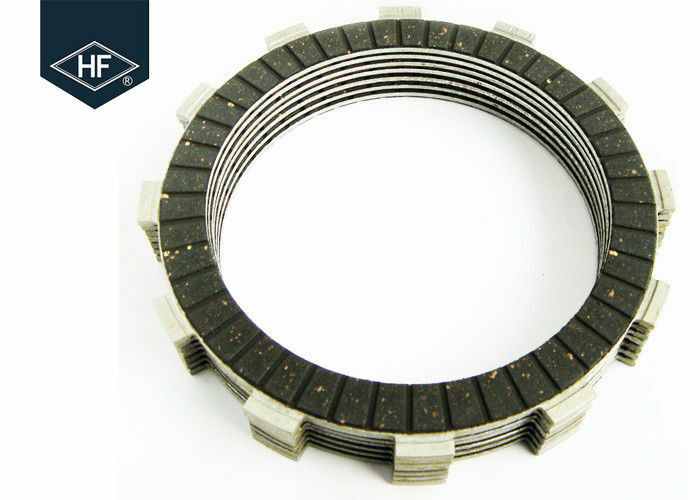 4.Our Friction Plate Made by environment friendly and asbestos-free abrasive material. 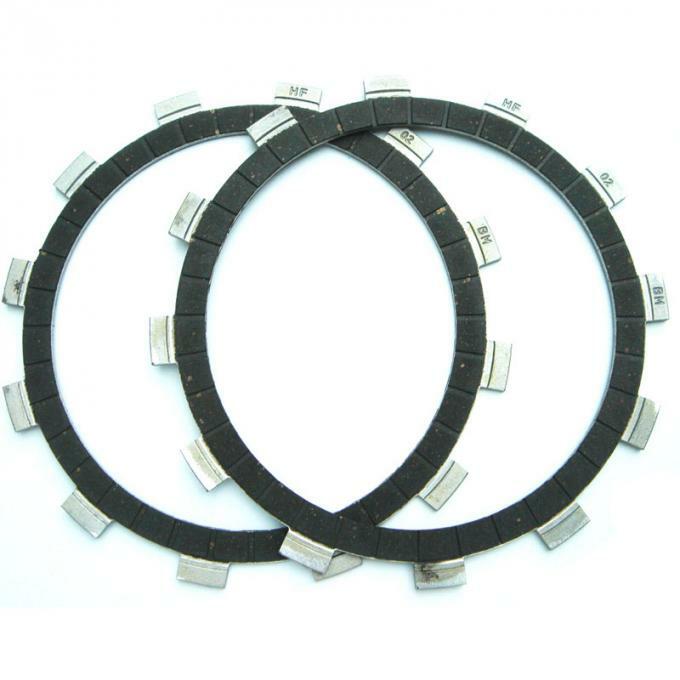 It has a stable abrasive property and can work quickly and efficiently . 1. Why I choose you "HF" in this big markets? There are more than hundred motorcycle accessories suppliers in China market, we rely on high quality, reasonable competitive price, perfect on and after sales service, get more than 70% market share in China, become a reliable brand. 2. Why your price is so competitive with others? We are professional manufacture motorcycle parts exporter in China ,with many years effort.And we want to establish win-win cooperation business relationship with you and brand our products, so we have the most reasonable price . 3. When can I get the price ? The quotation should be given within 24 hours after receive your specific inquriy . If it is very urgent, Please make an emphasis by remarks. Some samples could be free for you , for the freight we can discuss after. Usually, the sample will be sent within one week. It depends on the stock. 5. Can you do the packages as we need? 6. What's the delivery time for production? Honestly, it depends on the quantity and the season you place the order. It is about 20 to 30 working days. Generally speaking, we suggest that you start inquiry two months before the date you would like to get the products in your country.